construction and commissioning stages. It is therefore suggested noÂ compromises should be done with use of Quality Instruments as theseÂ Â ensure construction of desired standards and life. Quality check of Road construction includes properly evaluating the pre and post construction activities, which is a very sensitive andÂ intensive activity. Rightly choosing the effective substitute methodsÂ to conventional methodologies can improve the quality control checkÂ for soil compaction in a highly cost effective, less human interventionÂ and errorless way. 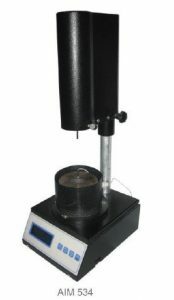 The Dynatest Light Weight Deflectometer (LWD), also knownÂ as the light falling weight Deflectometer (LFWD), light drop weightÂ test and dynamic plate load test, is a portable device that measuresÂ the soil in-situ LWD dynamic modulus (Stiffness and in-situ elastic modulus). 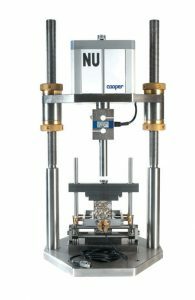 Typically, this modulus is used to evaluate the subsoil degreeÂ of compaction. Thus, it is suitable for compaction quality control ofÂ soil-surfaced roads, embankments and replacement fill. Dynatestâ€™s ELMOD (Evaluation of Layer Moduli and Overlay Design) software to determine the elastic moduli, stresses and strains of each modelled layer. ELMOD reports the weakest layer of failure, residual life and determines the optimum rehabilitation alternatives. 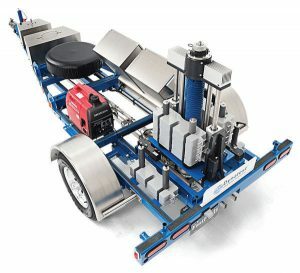 The FWD is available as a trailer or a truck mounted version (USA only) meeting all FWD standards worldwide. in conjunction with Aimil Visco software. 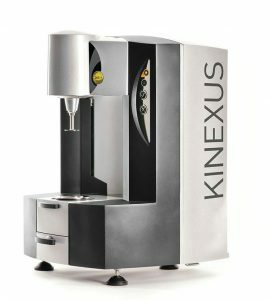 The Malvern Kinexus DSR Series is the next generation rotational rheometer platform for Asphalt testing thatâ€™s been developed from extensive market knowledge and feedback, integrating innovative instrument design with a revolutionary software interface, to deliver an intelligent solution that will exceed your rheological expectations. 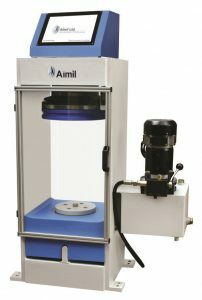 A modular rheometer with true â€˜plug and playâ€™ functionality is available for all measuring systems and environmental controlÂ units. The Kinexus DSR SeriesÂ enables pioneering Standard Operating Procedure (SOP) based testingÂ with a built-in comprehensive library of standard test protocols forÂ the Asphalt industry. servo-valve in conjunction with a lowfrictionÂ actuator and sophisticated dataÂ acquisition and control, results in aÂ performance that is equal to many servohydraulicÂ systems. 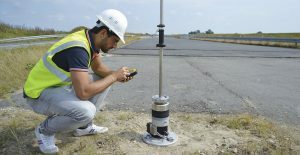 Accurate, digitally generatedÂ waveforms are applied by the actuatorÂ producing repeatable stress variations in test specimens that areÂ simulative of those in a road pavement due to moving traffic. TheÂ actuator is double-acting allowing both compressive and tensile forcesÂ to be applied. 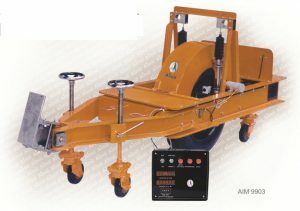 Different attachments are available for the measurementÂ of Resilient Modulus (ASTM D7369), Dynamic Creep, ITD for Asphalt,Â unbound soil testing etc. The â€œTrue Speedâ€ load frame provides a long term, very lowÂ maintenance, value for money operation. The frame works on anÂ internal feedback system and eliminates the fixed gear system. TheÂ limitation of speed drops in the older load frames with increase inÂ load is now removed, giving higher accuracy. True Speed Pave FrameÂ is used for applications such as CBR, UCS, Marshall both standard andÂ modified, indirect Tensile, Triaxial and other routine tests. 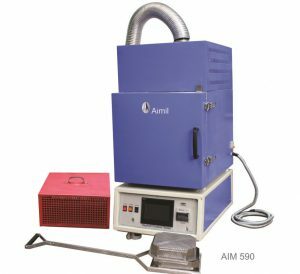 This machine is used to determine the asphalt content of hot mixÂ asphalt (HMA), paving mixtures and pavement samples by removingÂ the asphalt in an ignition furnace by means of sample heating not byÂ means of solvents. ← Is the Indian Auto Industry ready to emerge as the largest in the world?